LSD is an illegal psychedelic with a bizarre background. Startling evidence shows that scientists and psychiatrists have helped to promote its use Engaging, articulate, and brilliantly argued, On Drugs is destined to become a revolutionary classic that redefines what it means to be "high". In advocating "a diversity of consciousness," David Lenson forges a new look at the drug debate from a lost, and often forbidden, point of view: the user's. 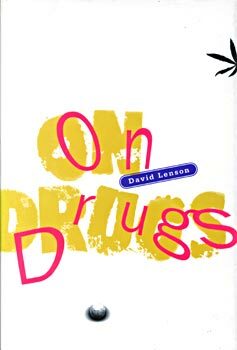 Describing in clear detail the experiences and dynamics of the drugs of pleasure and desire -- from nicotine to marijuana, alcohol to LSD, and caffeine to cocaine -- On Drugs asks what drugs really do and challenges society's accepted notions of sobriety and addiction. "Lenson's magnificent book is a perceptive mapping of the rippling waves of undiscovered solar systems within our brain. It will comfort the fearful and guide th unprepared. A classic!" "Users are now America's official scapegoats . . . and the hammer and sickle of Communism have been replaced by the pipe and needle."